University of Pittsburgh Press, 9780822945246, 240pp. In 1936, life on the road means sleeping on the bus or in hotels for blacks only. 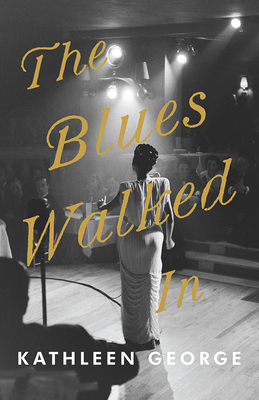 After finishing her tour with Nobel Sissel’s orchestra, nineteen-year-old Lena Horne is walking the last few blocks to her father’s hotel in Pittsburgh’s Hill District. She stops at a lemonade stand and meets a Lebanese American girl, Marie David. Marie loves movies and adores Lena, and their chance meeting sparks a relationship that will intertwine their lives forever. Lena also meets Josiah Conner, a charismatic teenager who helps out at her father Teddy’s hotel. Josiah often skips school, dreams of being a Hollywood director, and has a crush on Lena. Although the three are linked by a determination to be somebody, issues of race, class, family, and education threaten to disrupt their lives and the bonds between them. "A story with characters that feel so real that it’s sometimes hard to remember the book is a work of fiction. This is further compounded by the vivid descriptions of the flood that correspond with historical accounts and the fact that the story is set in very real locations. A colorful account of one of the most traumatic moments in Pennsylvania’s history and the lives it changed."